Jefferson County Pet Food Pantry : Low Cost Rabies Vaccinations!! PLEASE Share Far & Wide!! 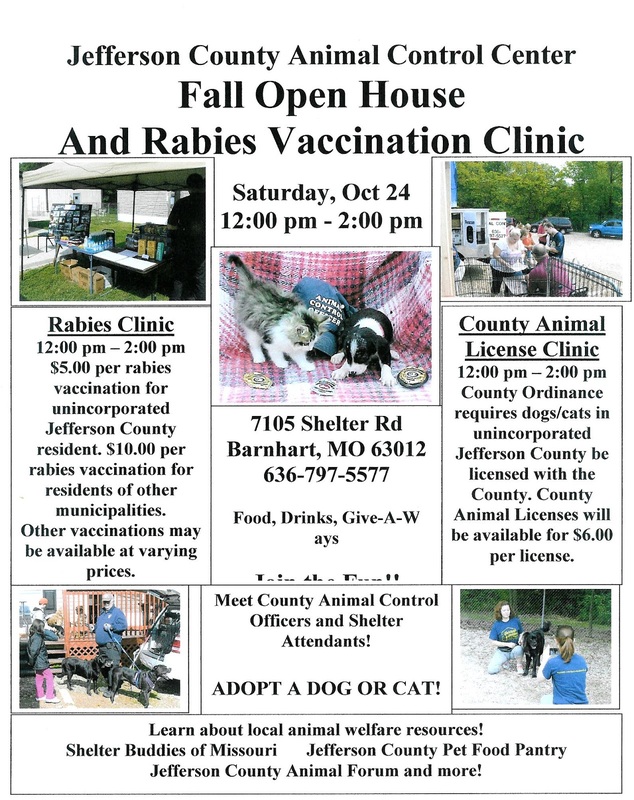 Saturday, 10/24 from 12 til 2, Jefferson County Animal Control, 7105 Shelter Rd, Barnhart MO 63012, (636)-797-5577 is holding a Rabies Clinic and Open House. 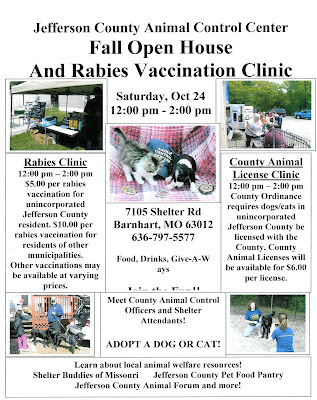 Rabies vaccinations for unincorporated JeffCo residents ONLY $5.00!! Everyone else is ONLY $10.00. This is a BARGAIN! !